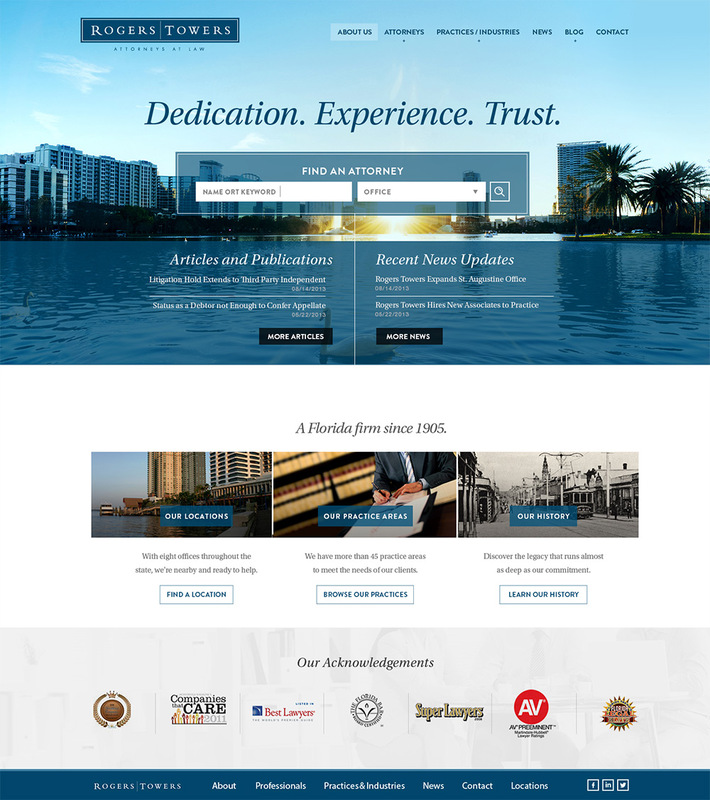 As one of Florida’s largest and oldest law firms, Rogers Towers needed their new website to communicate a history of excellence, as well as provide visitors with an easy way to find attorneys by practice area or location. They partnered with Station Four to create a responsive site built inside the WordPress framework to achieve this result. 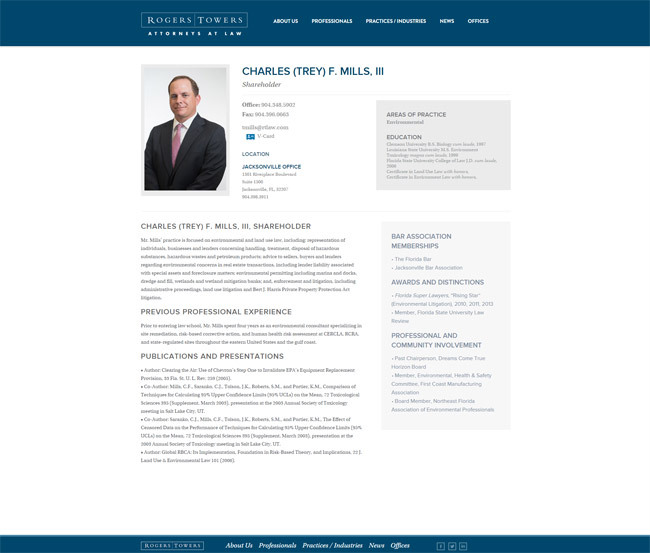 Some of the most important pages on any law firm website are the attorney profile pages. These are created for every attorney in the firm and hold their personal information, biography, areas of practice, memberships and certifications. With over 80 attorneys practicing statewide, Rogers Towers needed a simple and clean way for visitors to find the right attorney profile, and once there, learn about their expertise. In addition to a clean and functional desktop version of the site, we built it to be responsive, so it looks great on any device. 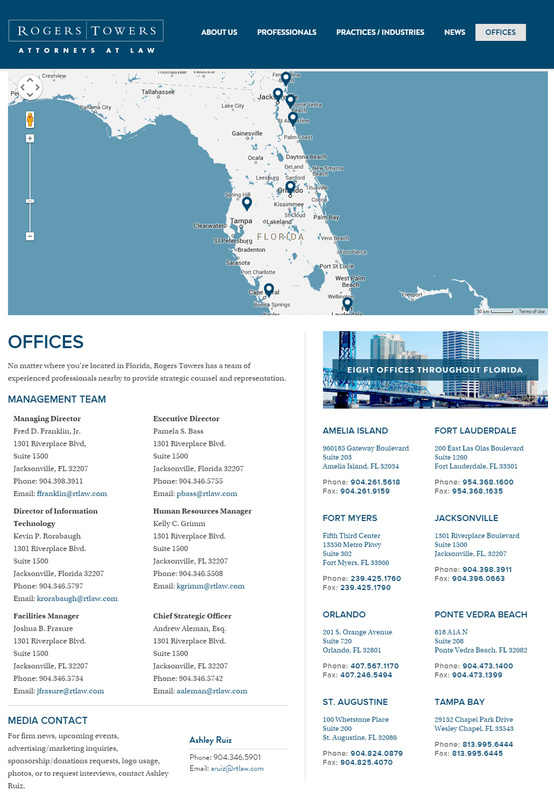 Rogers Towers has 8 locations throughout Florida. To make it easy for site visitors to find the office closest to them and get directions, we customized a functional Google map to fit within the site’s design.